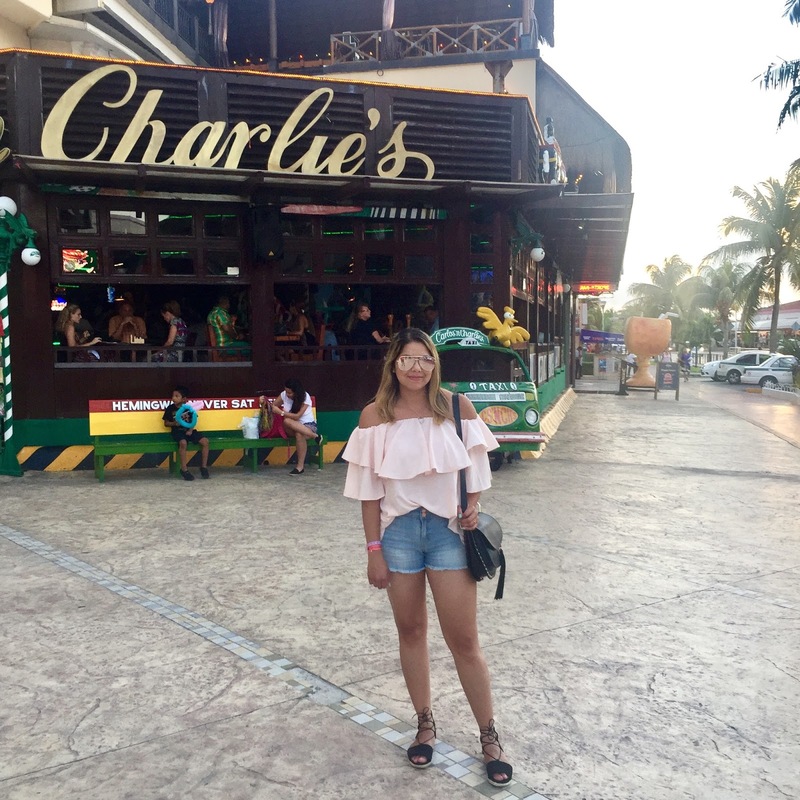 I'm totally shifting from my Thanksgiving and Holiday blog post groove to bring you my Cancun Travel Diary! After a stressful week at work, the husband and I decided to pull the trigger and book a last minute trip to Cancun Mexico for some relaxation and sight-seeing. We stayed for about 5 days, with the first 3 days spent by the pool and beach with drinks in our hands and NO PHONES! 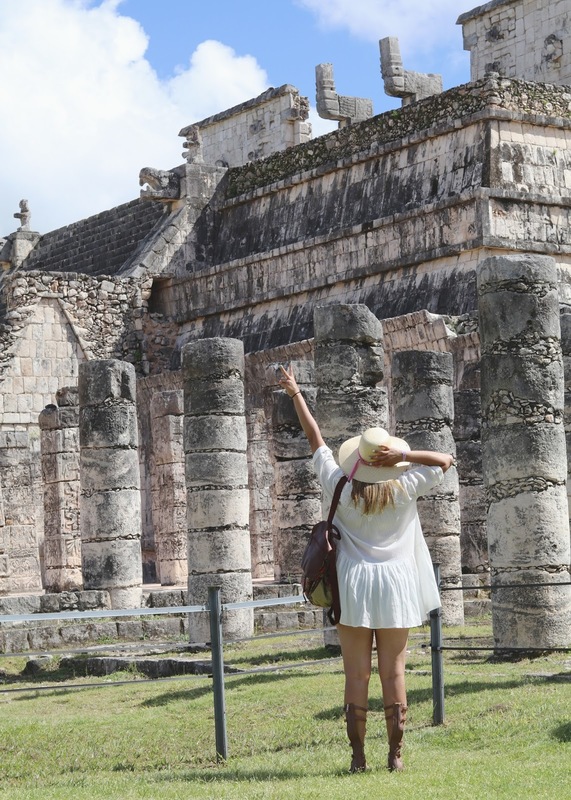 The last 2 days we did day trips to Chichen Itza and Xcaret which were at the top of our list. 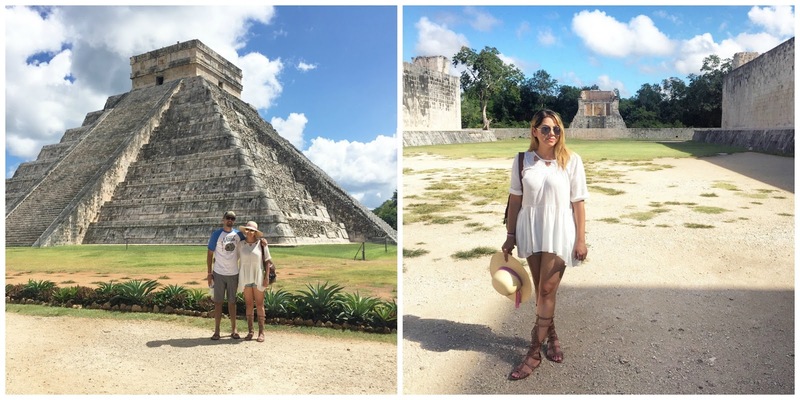 Chichen Itza Mayan Ruins: This was a day trip that was very well worth it! It was recently selected as one of the New Seven Wonders of the World, filled with so much history and intrigue. 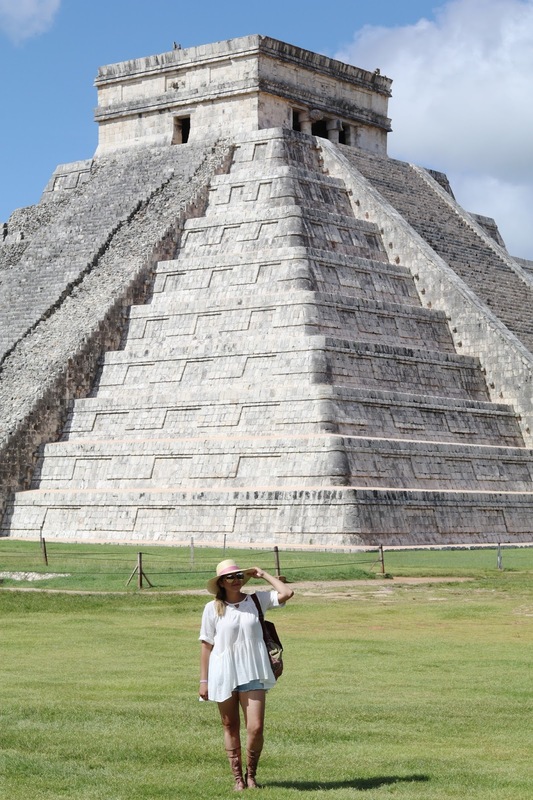 If you are planning to do this trip soon I highly recommend this Chichén Itzá Express Tour through Expedia where you head to Yucatan as early as 5 am to be the first ones to arrive at the ruins. Not only were we able to get lots of pictures without crowds in the back, but we also avoided the scorching sun for most of our visit. We booked this trip through the concierge, and the tour guide was very knowledgeable. Don't forget: Sunscreen, a hat/umbrella, bug spray and water! It was fancy night at the resort and this dress was perfect for the occasion! Xcaret Park: Is like a beach Disneyland slash Jurassic Park with sea life. 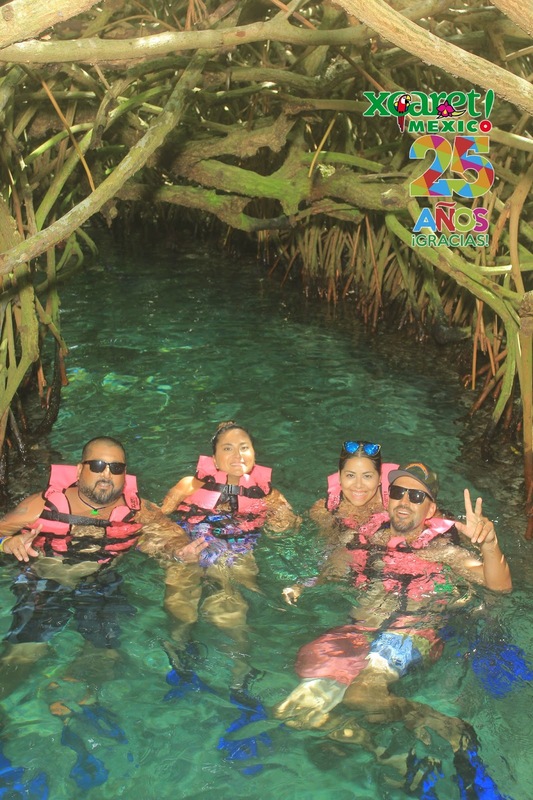 After swimming with dolphins, we swam the "river" that we thought was all natural, but it became apparent that it was man made to look very natural with little fish inside! We did two river routes through caves and tunnels! 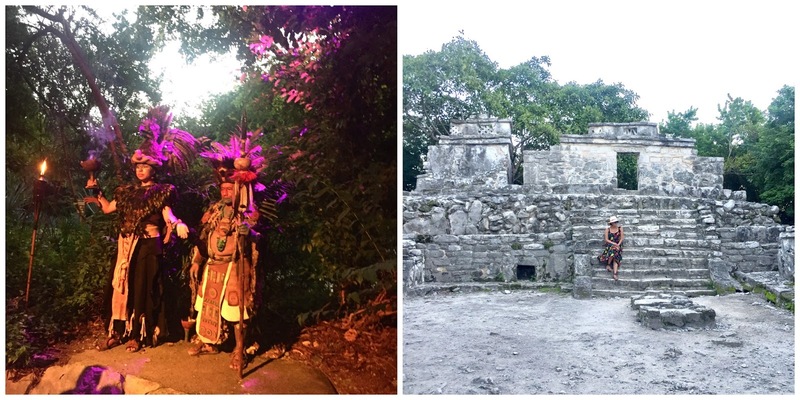 I loved how the park was infused with Mexican culture culminating with the Xcaret Mexico Espectacular. This is the not-to-be-missed show! They re-enact the Mayan ball game then go through all of the traditional dances of each region of Mexico- I had tears in my eyes at the end because it was soooo beautiful. 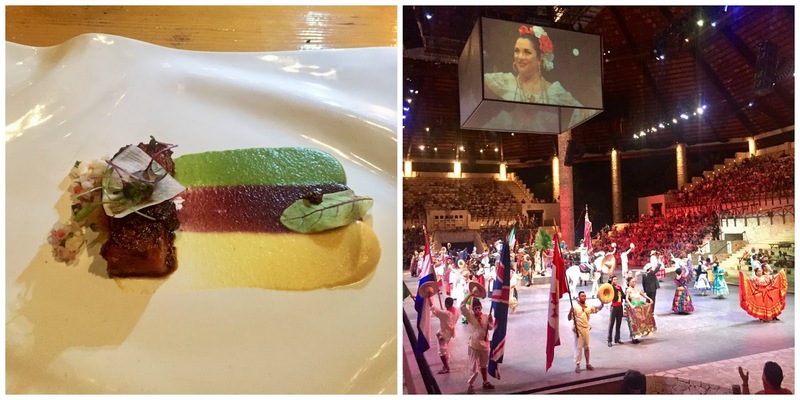 Great performances, great singers and great food! We did the dinner package to watch the show, but there is an option to just sit-in and watch for free. Don't forget: A waterproof case or camera, biodegradable sunscreen (they are strict on this to protect their wildlife), bug repellent. Also bring your bathing suit, towel and a change of clothes because majority of it is water activities! And with that I conclude my Travel Diary: Cancun edition. 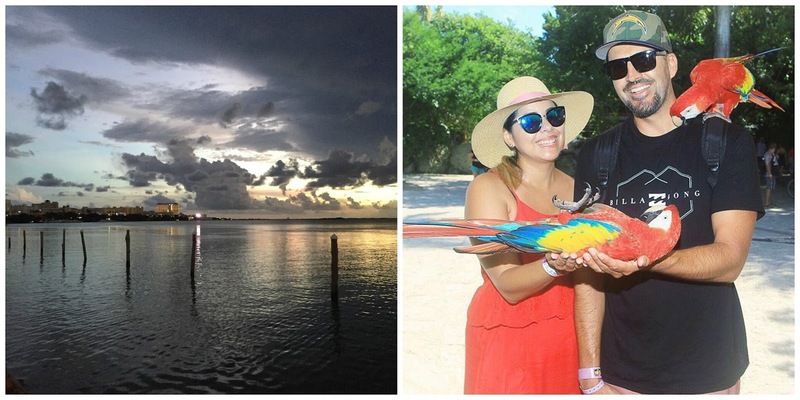 We definitely want to go back to see other parts we missed like Playa del Carmen and Isla de Mujeres. I wish I had taken more pictures of the water but a lot of things I did without cameras, to just live in the moment and relax my mind of all the shtuff that goes on in the day-to-day hustle (it felt great!) If you have any questions or need any tips, feel free to leave them in the comment box or email me! lovely photos :) glad you had a great time! Lovely photos, you look great on them! Great photos Pau, and nice to see that you had a great time. Also in love with all of your different outfits.